The pickleball community banded together to host Pickleball for Heroes, a tournament September 2-4 in Arvada, Colo. One hundred percent of the proceeds benefited Operation TBI Freedom, a sponsored program of Craig Hospital that serves Veterans with traumatic brain injury. The group raised more than $70,000 through the event. One of America’s fastest growing pastimes, the racquet sport combines elements of badminton, tennis, and table tennis and is played both indoors or outdoors on a badminton-sized court and a slightly modified tennis net. Marquardt and his team of volunteers organized the tournament and donated to Craig through the Craig Foundation's Third-Party Event program. "Events planned by community groups and individuals are a vital source of funds for the Craig Foundation," says Jane Marsh, senior director of Philanthropy and Operations for the Craig Foundation. 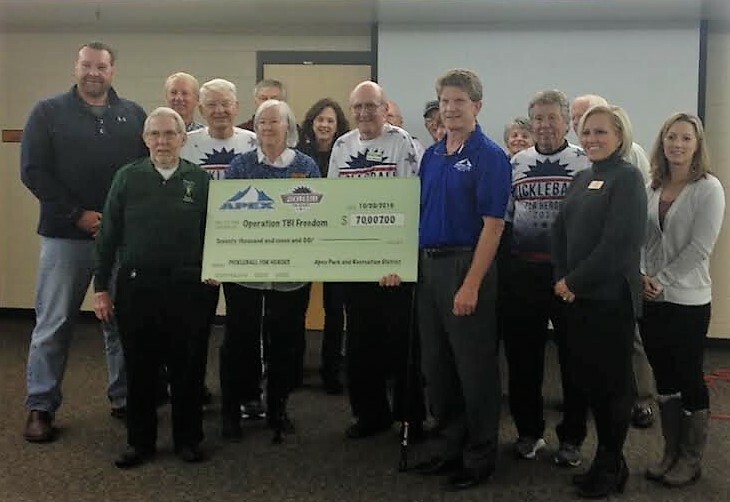 "We were so pleased to partner with Pickleball Ken and his community of players to ensure that our Veterans have access to the holistic care provided by Operation TBI Freedom."